The best educational investment in future welfare and prosperity is in high quality solutions for young children, economic research shows. 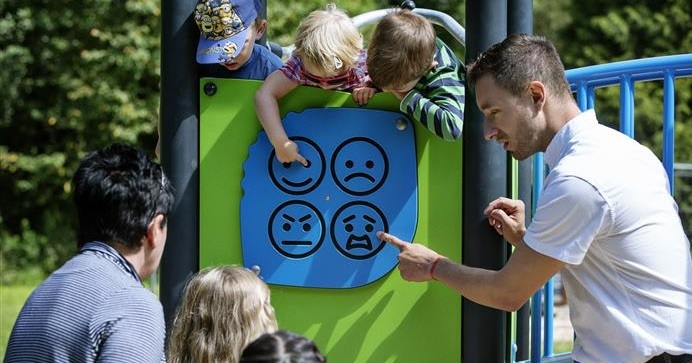 The focus on high quality early childhood education and care is high, and educational playgrounds are increasingly seen as a child’s domain for free play as well an educational tool and working of adults who observe, guide and instruct the children at play. Well planned nursery and preschool play areas are high in age appropriate physical and social play motivation. They offer a wide range of cognitive and creative play experiences and facilitate the work with the Early Years Foundation Stage curriculum. Physical play activity is essential, as even young children increasingly are documented by research to take far too little physical activity to develop their motor skills in the way previous generations did. To children, the motivation to play and move is high when play areas offer activity that responds to their movements, for example swings, spinning equipment and spring equipment. The social and creative play motivation is high in play areas offering for instance sheltered and themed play areas and sand play activities.